I love this time of year when prom and dances roll around. It gives me a chance to be extra creative with colors, glitter, cut creases and trends! 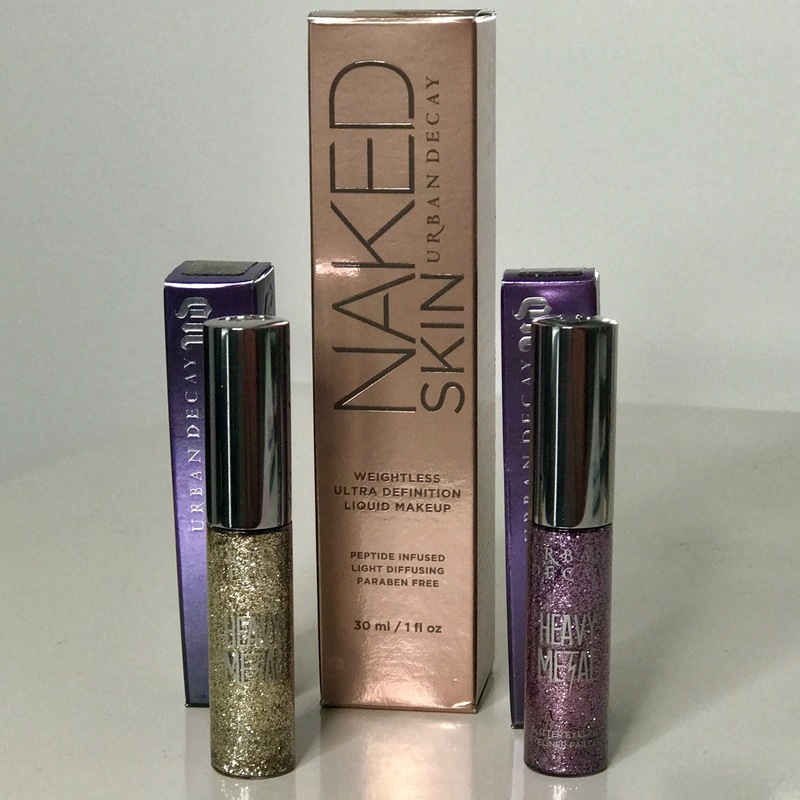 I recently purchased some items from Urban Decay to get ready for the upcoming season. GLITTER!!! I chose the Urban Decay Heavy Metal glitter eyeliner because of the versatility of the product. I can line cut creases with it, use it as liner, use it over any eye product and even use it all over the eye…. think of a glitter smokey-eye! It is long lasting and comes in some great colors. Colors pictured: Midnight Cowboy and ACDC. I always tell my prom clients that their makeup will not look like anyone else’s. I try to use different colors and techniques with each client so they are unique and fun products like this are key. I chose to purchase the Naked Skin foundation because, frankly, I’m getting tired of my old stand by and wanted to try something new. I love this foundation because it has a medium coverage (where your natural skin still comes through), demi matte with light reflecting properties and doesn’t feel like you are wearing makeup. I feel like my skin can breathe! What would make this product even better? Sunscreen. But, I will add that to my morning skincare routine. Moms…. this is a great foundation for you! Great color choices and very easy to use.